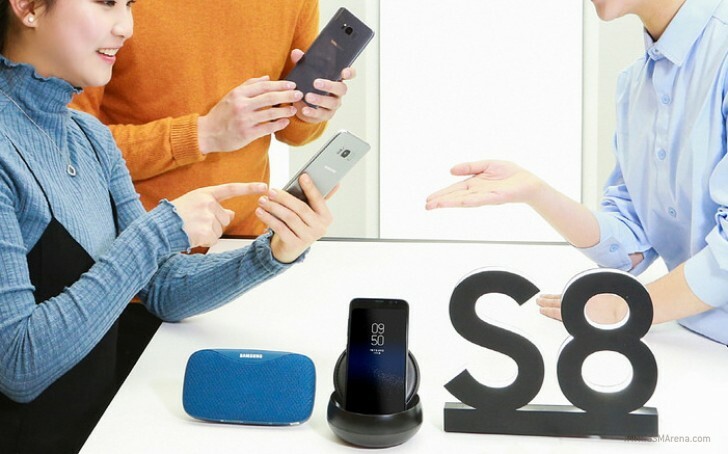 Samsung has started taking pre-orders for the Galaxy S8 and Galaxy S8+ in Korea today. Customers can order not only the regular 4GB models, but also a Midnight Black Galaxy S8+ with 6GB of RAM and 128GB onboard storage for KRW 1,155,000 (€957). 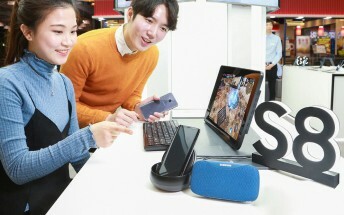 People who pre-order the Galaxy S8+ 6GB/128GB will get a Samsung DeX station as a bonus. So far the 6GB/128GB Galaxy S8+ is a China and South Korea exclusive but Samsung is reportedly thinking of releasing the device elsewhere too. We doubt the "regular" S8+ will feel sluggish any time soon but more is more, as they say. The Galaxy S8 costs KRW 935,000 (€775) while the 4GB Galaxy S8+ costs KRW 990,000 (€820). Deliveries of pre-ordered units should begin in 18 days.